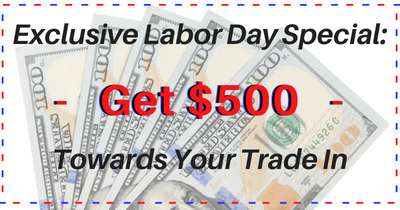 We wanted to extend our exclusive Labor Day Special to you. You are important to us, and we appreciate your interest in our dealership. That's why we're offering you $500 towards your trade-in! Print out the coupon and bring it with you to claim this offer. Happy Labor Day!